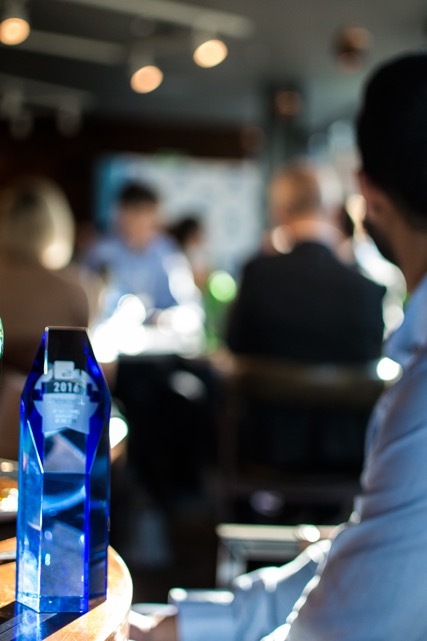 The winners of the 2016 edition of the AltFi Awards come together for a lunch at the Fable, London, on January 18th, which was sponsored by full-service communications firm Maitland. Over a hundred nominations came in for 28 categories – 13 of which were brand new – with the majority of panels judged by panels of independent sector experts. There was also the ever-popular People's Choice Poll, which this year registered over 5,000 votes, and was ultimately scooped by Latvian lender Mintos. This is the third year consecutive year of the AltFi Awards and some platforms – such as SyndicateRoom – have now become regular faces at the podium. William Clutterbuck of Maitland treated the Award winners to a brief speech on the key trends of the moment at the awards ceremony, drawing on his experiences working with firms from across the financial services industry – from the big banks to brand new disruptors. A special thanks to Maitland, and thanks to all those involved for their efforts. We look forward to seeing you next year.